Have you always wanted to take a cruise, but a few concerns have been a hangup? Let’s debunk the most common cruise travel myths once and for all. Accidents can occur anywhere, but to the contrary of the myth, cruise travel is statistically safer than air travel—the golden benchmark for safety. If you as a passenger use common sense and are mindful of your own personal safety, you’ll have nothing to worry about onboard. Ships do move with the motion of the ocean but not nearly as much as you might think. Newer, larger vessels are more stable than their predecessors, and certain routes and times of the year are calmer than others. Consider inlet voyages or a river cruise and avoid stormy seasons if you’re concerned. Thanks to the mainstream media’s undue attention given towards Norovirus, everyone has surely heard of the gastrointestinal bug, but outbreaks are statistically rare onboard, and you can protect yourself by simply regularly washing your hands. Contemporary cruise ships tout larger cabins or at least better-outfitted ones with more-efficient use of space. Expectedly, they will not be as large as shoreside equivalents at a hotel, but they are still very comfortable, and larger suites are available for those who would prefer. Sometimes, popular areas onboard can become busier, but there are usually plenty of other places to go for a quiet retreat. 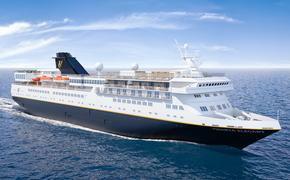 Look for higher passenger-space ratios for cruise ships with more available room per guest. The drunken debauchery once associated with cruises has thankfully died down. They are far more intellectual now and well behaved accordingly. If you want to avoid any element of weekenders, seven-day or longer sailings are ideal. In fact, nothing could be farther from the truth. As cruise ships get bigger, the abundance of activity, entertainment and dining options rapidly expand with them. You will absolutely not be bored onboard. Cruise ships are, in a way, destinations unto themselves, but they do still sail to actual international ports-of-call, allowing every passenger the opportunity to explore ashore or stay onboard as much or as little as they please. There was a time when cruise travel was pricier, but with a massive amount of cruise lines and ships now in the market, per berth rates have decreased significantly, making cruising one of the best values in travel. As the cruise industry evolves, so too does its demographic. Cruise ships do remain a great option for honeymooners, but the average age of cruisers has dropped substantially. In fact, the passenger quantity of Millennials and Generation Z is beginning to match and now exceed that of Boomers and Generation X.